The last few weeks I've been suffering from 'dress-traction'. You know what I'm talking about; that mania you feel when you become obsessed with a design (dress) in your head and then the inability to concentrate on anything else (distraction) until you've made it - DRESS-TRACTION. My latest creation, a classic trench coat with a twist, is my latest dress-traction and it's all my transparent clothing dreams come true. I used Simplicity 8554 in a size 14 to bring this organza trench coat to life. I made version C with the pockets and flaps, but cut version A for the length and sleeves. I used a beautiful (!!) silk organza from The Cloth Shop in a striking purple. When I went into the store I had my mind set on a baby blue trench coat. Then I saw this purple (the last on the bolt!) and everything changed. The organza is fine and transparent, and I wanted the coat to look as beautiful on the inside as it did on the outside. So I took the time to FLAT-FELL the seams with the exception of the sleeve seams, which I finished on the overlocker. The BODICE-FLAPS on my trench aren't lined. This organza was only 115cm wide and I had just over 3 metres. I had just enough fabric for two pieces instead of four, so I finished them both with a narrow hem instead. No matter how much I played tetris with the fabric pieces, I didn't have enough fabric for both SIDE POCKETS AND PATCH POCKETS. I thought the patch pockets added to the design of the trench and are also very practical, so I sacrificed the side pockets in favour of the patch pockets. I'm a little obsessed with the TRANSPARENT look at the moment, and after successfully making my first sheer garment recently (a black shirt and soon to be blogged) I started planning a trench coat. 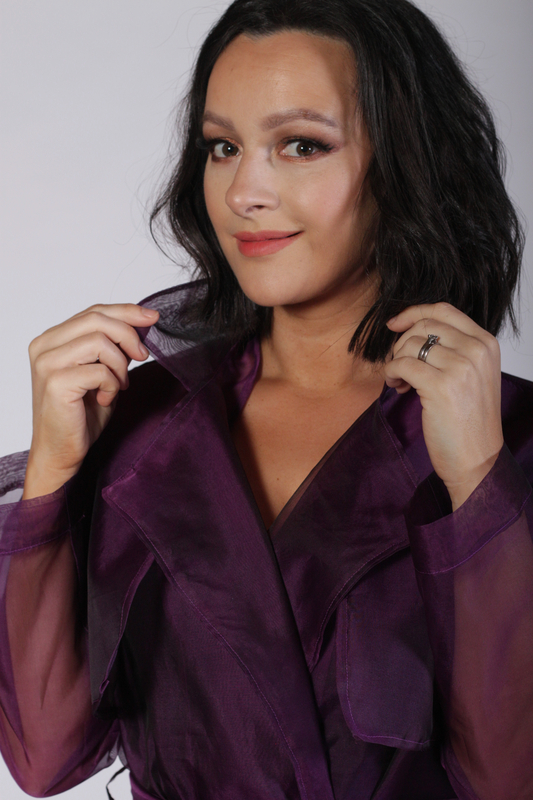 I love how LAYERING THE ORGANZA adds multiple shades of purple on different sections of the trench-coat. The SIDE SLITS are flattering and a modern take on a trench. I Love the MIDI LENGTH with the oversized square patch POCKETS. The pattern for this jacket is unlined which results in a faster make. I did a NARROW HEM for the inside facings and the bodice flaps which gives such a clean, finished look. I omitted the INTERFACING for the facing, collar and belt so that it wouldn't be visible through the organza. This fabric has such a natural 'stiffness' already that it handles perfectly without it. Step No 27!! It instructs you to fold the belt in half lengthways which is INCORRECT. The front facings for the size 14 appeared to be about 1.5cm longer than the actual centre front of the jacket. Apart from the minor errors in the pattern instructions, I found the steps surprisingly easy to follow and the pattern very well drafted proportionately. This is one of those makes that I can't stop staring at and touching. 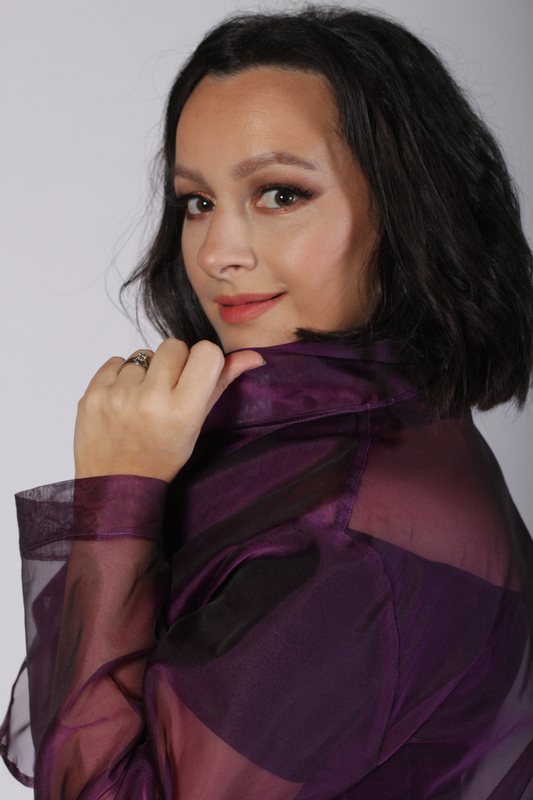 The trench coat is so pretty in the unexpected fabric of silk organza, and I get an immense feeling of satisfaction when I look at all the extra details I employed to make the coat neat and clean. It's an excellent addition to my ever growing 'sew-frosting' collection, which is currently threatening to overwhelm the rest of my closet. I'm not mad at it. 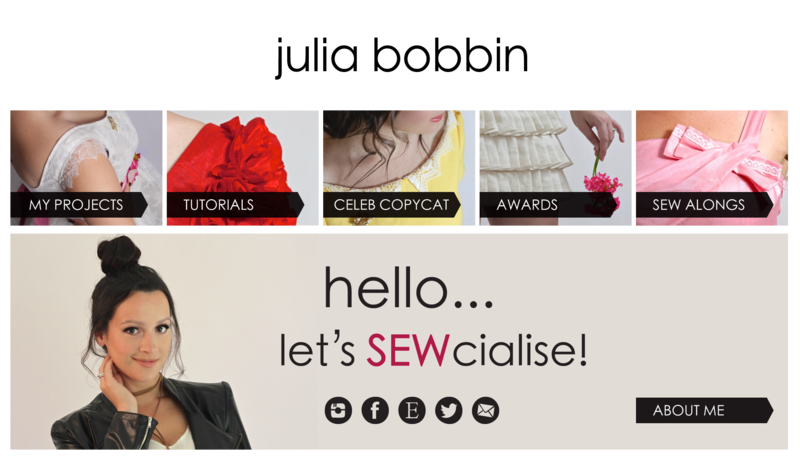 You can read about the 'Sew Frosting' challenge hosted by True Bias and Closet Case Patterns, here and here. The colour is so vibrant and saturated, and I feel a little 'fashionista' when I wear this. I'm so happy with how it turned out and I highly recommend this pattern! What do you think? Are you currently 'dress-tracted'? Thinking of giving the transparent look a try? I'd love to hear your plans! Ha! That it is :) Thank you Karin! I'm sorry I don't have the photo, but decades ago in the early 90s, there was a photo of the same damn thing (in white) by Gautier in a photo spread in the New York Times Magazine. It haunted me on my mood board until I lost the photo in a move. I've tried to go back and find it, no luck. And here you are. This was one of my inspo thoughts for my wedding dress. It didn't work out, but yours sure did. This is a brilliant idea and it's worked out beautifully. And the top stitching is excellent! Well thank you so much! You've gone and made my day! I have not had transparent dreams until now! This is gorgeous! Ha! We are kindred spirits. Thank you!